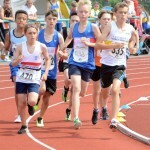 The penultimate match in the Mid Lancs Track and Field League was held at Preston. This is not a high pressure league but Liverpool Pembroke Sefton like to do well in it. 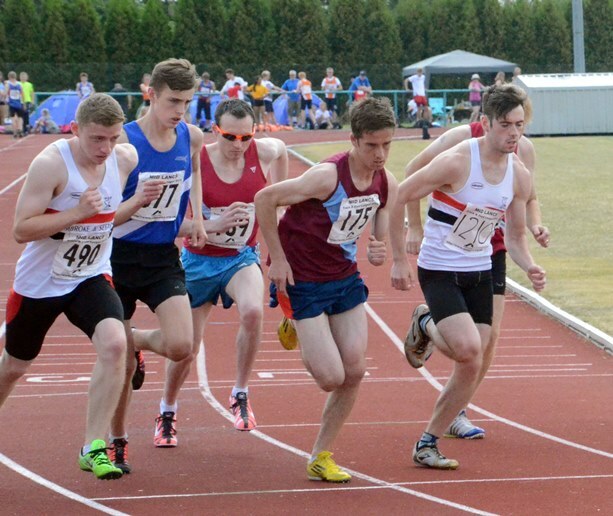 Among the seniors Harry Doran came up with a surprise double win, the 400m in 50.0 and the 800m in 1.59.9. Harry rarely does the two-lapper but has a lot of potential at that distance. 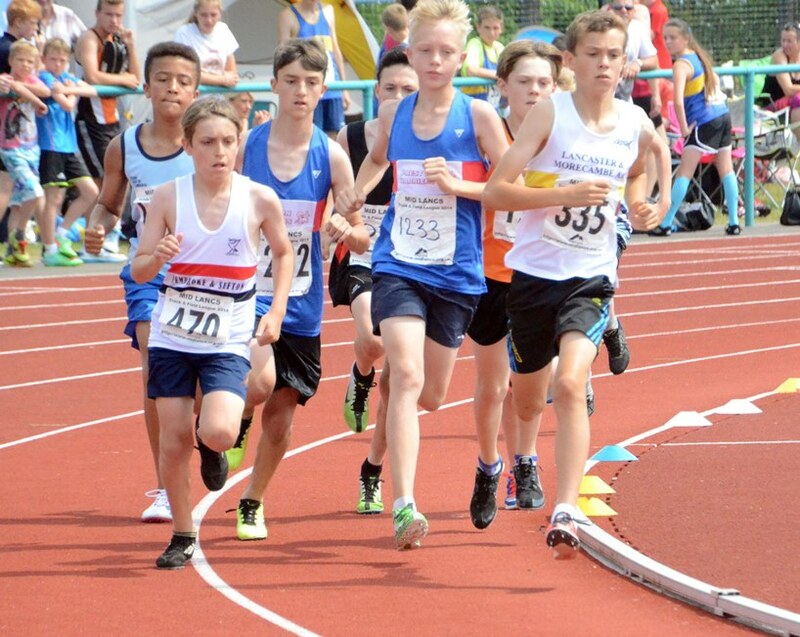 Other top scorers were Kyle Nicholls, 1500m in 4.18.2 and Billy Williams with a High Jump leap of 1.80m. Among the women Lauren Cummins made her presence felt with wins in the Shot Putt(8.38m) and Hammer(23.80m) plus a useful runner up spot in the Discus(26.36m). At Under 17 Ed Latimer and Morgan Greaves-Thomas had a good day. 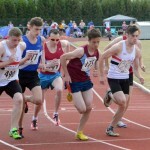 Ed was tops in the 100m(11.7) and 400m(53.3) while Morgan took the 200m in 22.9 and was second in the 400m in 54.00. In the field Alec McSweeney threw an excellent Javelin winning throw of 44.50m. 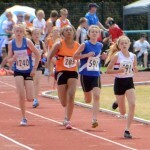 Hannah Wills leapt 1.45m while Charlotte Mawdsley took charge of the 1500m as usual with 5.36.7. Lauren Lewis sparkled once more as she sprinted to glory in the Under 13 100m in 13.4 and Erin Birchall is improving with a 14.5 timing. Owen Southern was first in the High Jump(1.45m) as was Erin in the Long Jump(4.17m) in her group. Scarlett Whitfield scored good points in her High Jump(1.15m). With numerous other minor placings at the end off the afternoon the club found itself second in the Mens match and third in the Women. 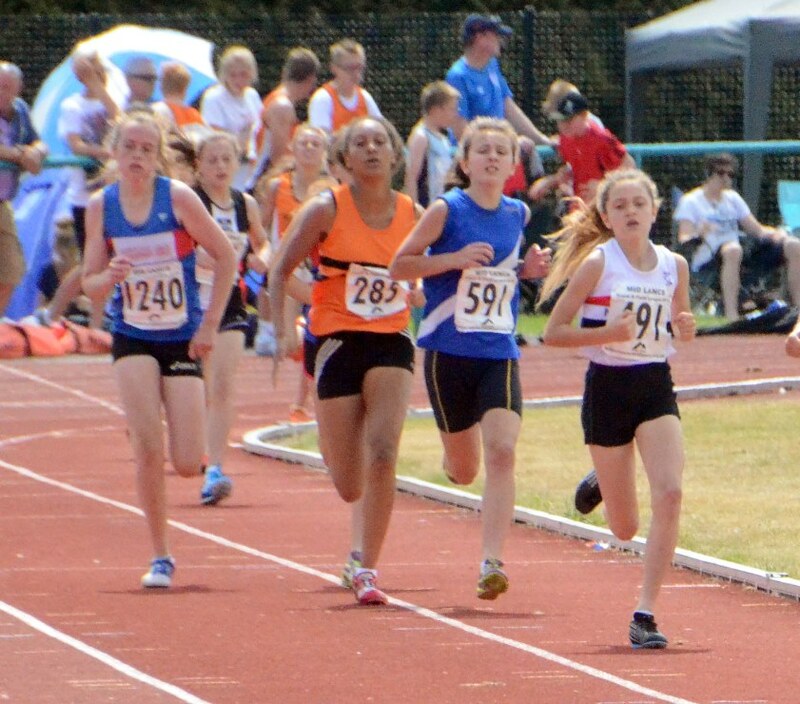 Earlier in the week in the graded meet at Stretford Rosie Johnson came close to beating the club female record for 800m with 2.07.58. Daniel Slater was again superb with a 4.12.13 1500m. There were plenty of other useful performances including Vet Clare Constable who impressed with a 800m clocking of 2.24.63.